No, its not an extract from a Frankie Howard or Kenneth Williams script [giving my age away there] but something to do with the traditional centrepiece of most English gardens: the lawn. Nowadays its a relatively easy job to cut a lawn. We jump on our sit-on mower and ride up and down, or pull the rip-cord on the strimmer and stroll backwards and forwards until the job is done. 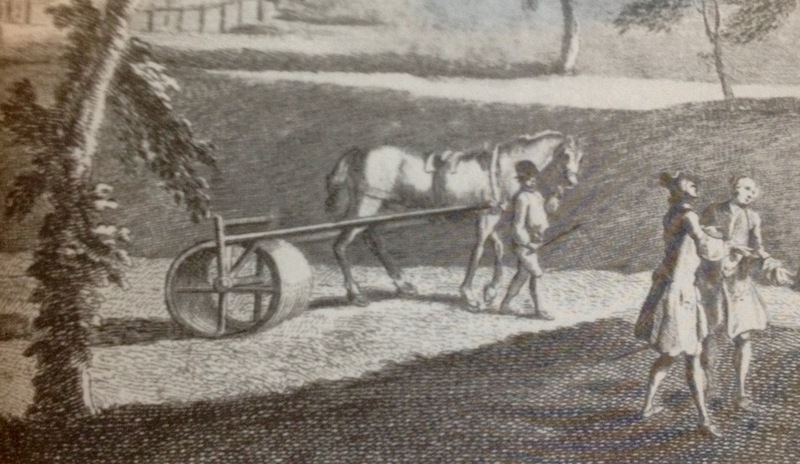 But how were lawns managed in the days before such newfangled technology? The simple answer is either by grazing animals or by people holding nibs on the side of snaths [or sometimes sneads] which were fixed, by way of a tang, to a chine which had a very sharp dengle edge… or in plainer language… by scything. 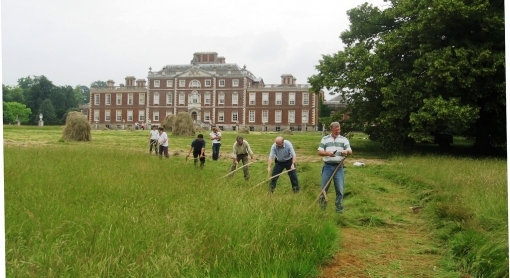 You might assume that such a “primitive’ method of cutting meant lawns were relatively unkempt, with much longer grass compared with the close cropped stripey velvet look we are used to today. After all how surely a manually operated blade however sharp can’t compete with sophisticated machinery, but you’d probably be mistaken. Perhaps the first and most obvious question is when and how does grass become lawn? Terminology is always difficult to interpret. Some early manuscripts refer to open grassland that’s controlled or cropped in some way calling it by the Latin pratum which is usually translated as mead from the old English medwe but we have no real idea of what that implied. But almost certainly it didn’t mean what we’d think of as a lawn. However we do know how the word lawn itself evolved. The Oxford English Dictionary shows that originally it implied an open area or glade in woodland. In 1548 it appeared as “a place voyde of trees, as a laune in a parke or forrest”, and by 1615 as “A goodly forrest..intermixed with fruitfull and flowry lawnes.” Which is redolent of those mediaeval paintings and tapestries depicting flowery meads. There was also an obvious overlap between “man-made” lawns and “natural” ones where continual grazing of pasture land by stock – sheep, cattle,horses, or even rabbits- can create a very short, dense grassy sward that is like a modern lawn in distant appearance. 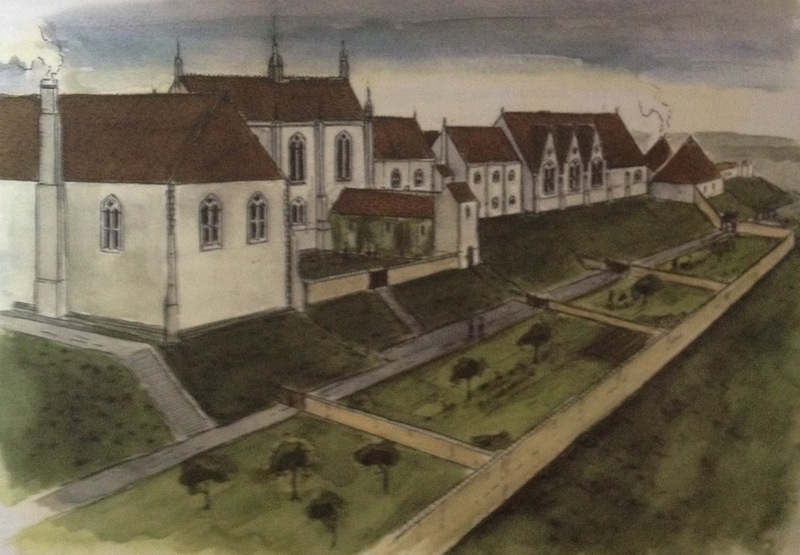 Reconstruction of the north facing mediaeval gardens at Clarendon, by Philip Marter for RCHM 1994, taken from Clarendon Landscape of Kings. For more on Clarendon see Tom Beaumont James & Christopher Gerrard’s Clarendon: Landscape of Kings, 2007. 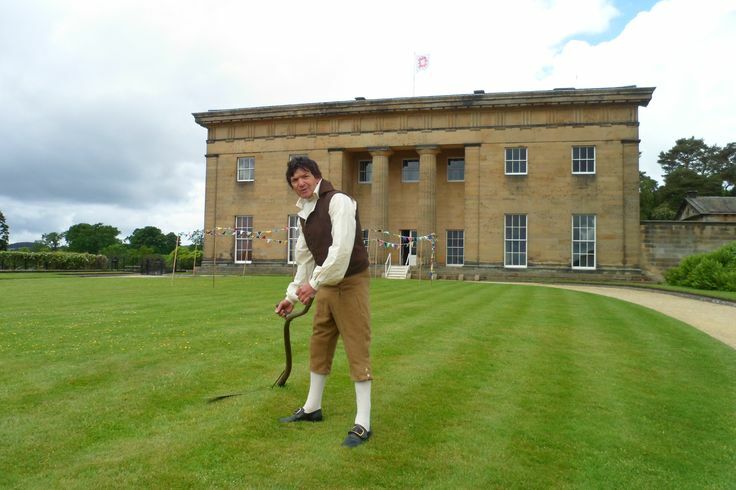 The archaeology at Clarendon was done after the death of the great garden historian John Harvey and takes the story back earlier than what he considered to be the earliest representation of a large and truly leveled lawn. This was a drawing of a game of bowls dating to the reign of Edward I, but unfortunately I can’t find an image of this. It is well documented however that the royal palaces of Windsor and Westminster had large level areas laid with turves and carefully maintained by rolling and mowing from the mid-13thc onwards. 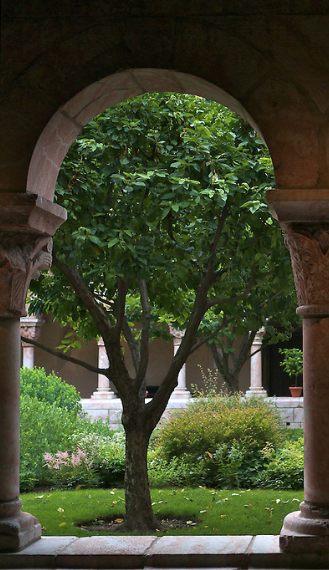 For more on this see Sylvia Landsberg, Medieval Gardens, 2003 & Teresa Maclean, Mediaeval English Gardens, 1981. 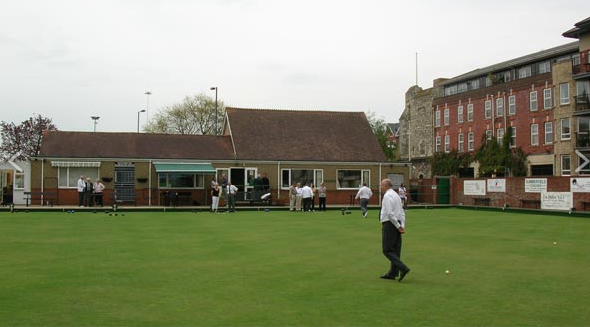 Bowls seem to have played a significant part in establishing ‘lawns’ since the game can’t really be played on anything other than short grass. In turn that implies that the sward of such bowling greens was cropped by animals or, more likely, deliberately cut by man. 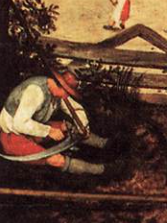 The oldest surviving green – The Old Bowling Green at Southampton – is known to have had been in continual existence since 1299.
detail from Barthelmy D’eyck, Emilia in her garden, 1465, National Library of Austria. Once the grass had started growing, it should, Albertus said, be cut twice a year . He also thought it would be necessary to repeat the whole process by returfing every three or four years. Eventually Albertus’s advice made its way into print, almost verbatim, in Pietro Crescenzi’s Opus Ruralium Commodorum, in 1471 [which then had many subsequent editions and translations]. 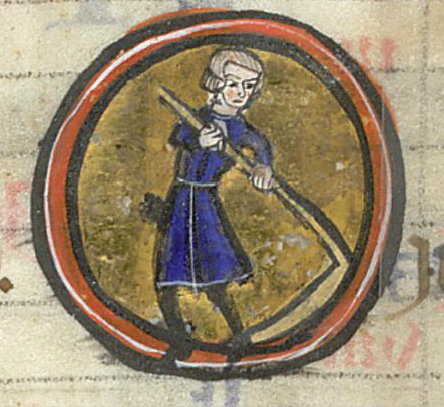 For more on the medieval use of scythes a good place to start is the website of The Historic Gardener. 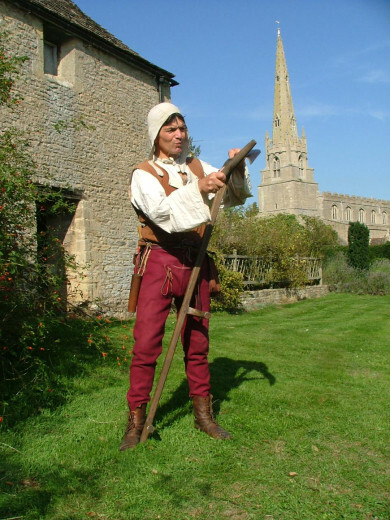 Michael Brown used to be the head gardener at the Prebendal Manor, Nassington, a recreation of a medieval garden and writes from experience. But none of these areas of close-cropped grass which we would probably recognize as a lawn, were referred to as lawns. Lawn as a description in this sense arrives only late, and even then gradually. Before then such features are referred to by a whole variety of names: herbers, turf, parterres, grass-plots or grass-plats or, following the French example, tapis vert or green carpet. For example, I looked in vain in Evelyn for references to lawn or even grass but the nearest I could find is in Kalendarium Hortense where he suggests that October is the right time “to Beat, Roll and Mow Carpet-walks”. There is actually not a great deal written about ‘lawn’ care anywhere. Later in the book Switzer begins to use the term ‘lawn’ in a sense closer to our modern understanding. 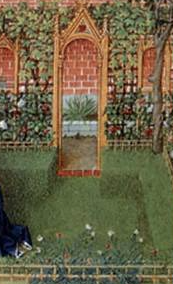 He explains how “to measure and cast up any uneven ground in a Parterre, Lawn or such like Division’, of ‘lawn parterres’, and of ‘the Lawn or lower Parterre of Grass’. But he also uses it in the traditional sense implying open spaces in wooded areas arguing that “Wood is misplac’d …when it crowds so close….as to admit no open Lawn or Breathing”. But is also clear that these ‘lawns’ are vast – at least a quarter of a mile in length and should be designed to create views. The older use of the word, persisted intermittently right through into the mid-18thc. Philip Miller for example in his Gardener’s Dictionary has a lengthy entry for ‘Lawn’. But, like Switzer, he is talking on a much larger scale. Luckily we dont have to just rely on dictionaries and gardening books for information because we have the evidence for paintings and prints. 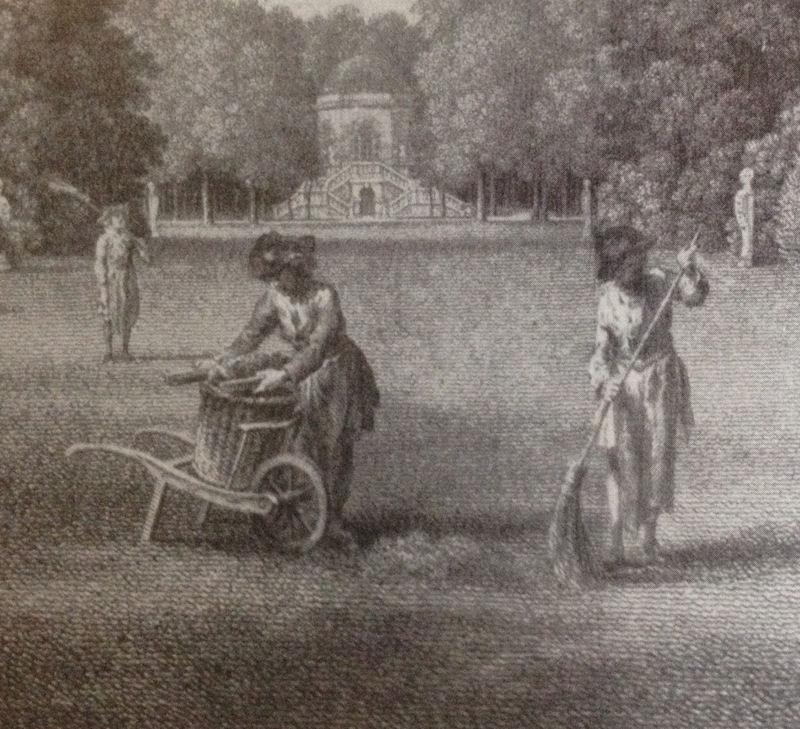 The famous pictures of Chiswick by Rysbrack include one showing one of Lord Burlington’s new garden areas being scythed. 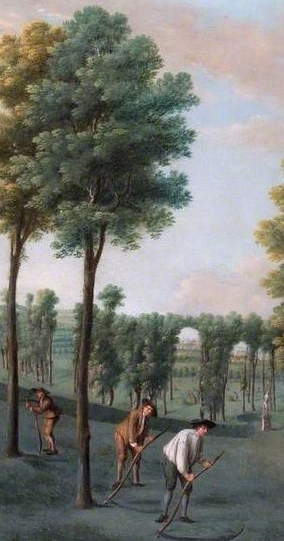 Even more informative are the series of 8 paintings by Balthazar Nebot of Hartwell House, which depict the gardeners at work in almost every major area of the garden. 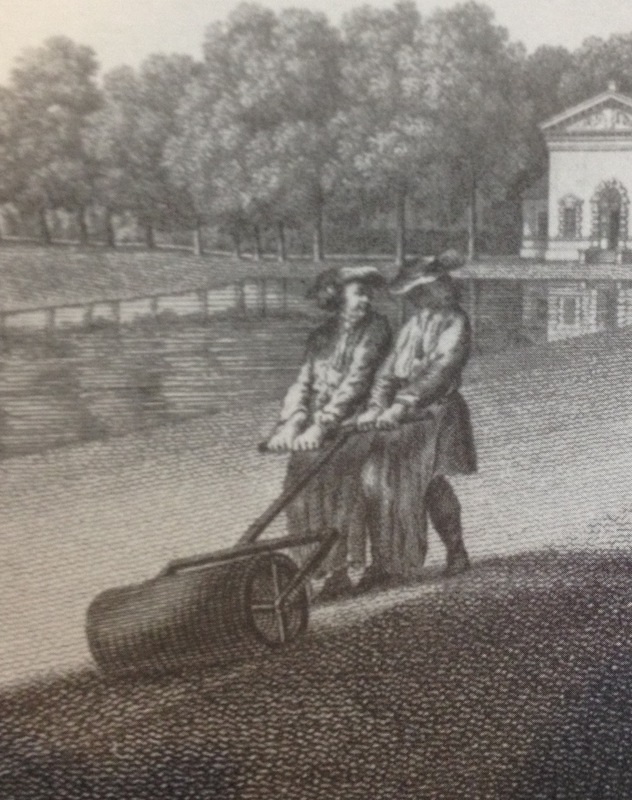 There are many other 18thc images of gardeners working on lawns, including some showing the grounds of Stowe, West Wycombe, Hall Barn & Carlton House. 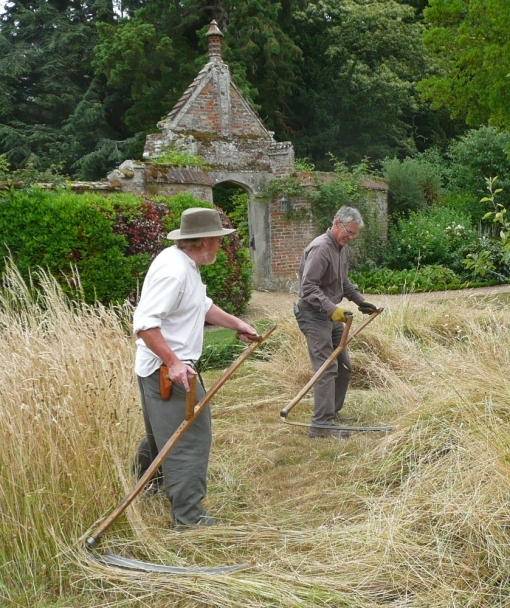 Scything was obviously a regular and continuous task for all the grassy areas within a garden, as was rolling and sweeping. It presumably occupied teams of workers much of their working lives. You might be forgiven however if you thought that scything the lawn died a rapid death with the arrival of Edwin Budding’s new invention. That’s very far from the truth. 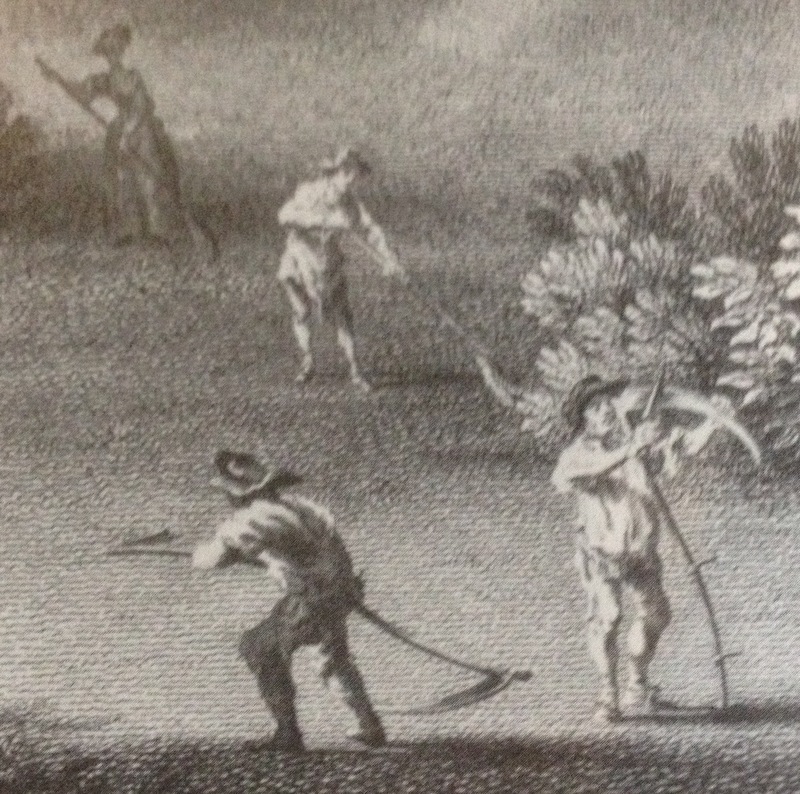 Scything continued almost unabated well into the 20thc. 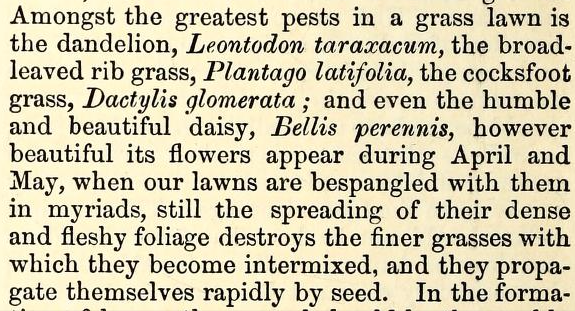 Charles McIntosh, a great friend of Loudon, wrote about lawncare at great length in The Book of the Garden of 1855, but his recommended treatment differed according to the importance and positioning of the lawn. 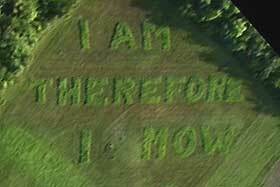 Although he still includes the large expanses of grass stretching away from the house as ‘lawn’ its clear that the modern meaning of lawn was in general use “by universal consent”. And we see the first real evidence of the beginning of the cult of perfection. In the most prestigious places, such the flower garden, MacIntosh asserts the lawn should be nothing but pristine grass with everything else ruthlessly removed. But the rise of the lawnmower and the strimmer was inevitable…. or so everyone thought until the the revival of interest in scything in the late 20thc and today the scythe is undergoing a small-scale ‘craft’ renaissance. 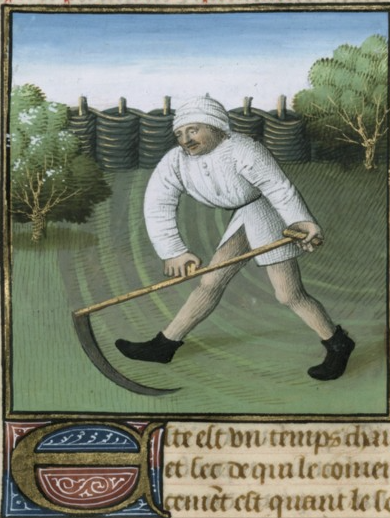 so….as financial and environmental pressures increase local authorities, stately homes, allotmenteers and home gardeners are, according to the Scythe Association, increasingly turning to the scythe, particularly the lightweight Austrian type rather than the traditional English one [don’t tell Mr Farage] as a zero-carbon alternative to garden & grounds management…. 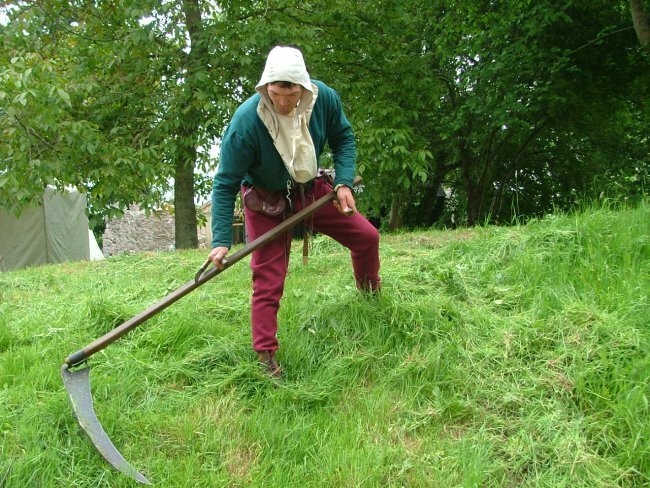 and scythes are even being used to cut lawns again! This entry was posted in Uncategorized and tagged bowls, Charles McIntosh, clarendon, games, Garden tools, Hartwell, John Claudius Loudon, lawn, Philip Miller, scythe, Stephen Switzer. Bookmark the permalink.